One of my party tricks is to use props I already have or buy/make ones I can use after the party is done. Take for example the first birthday party we held for William a few weeks ago. 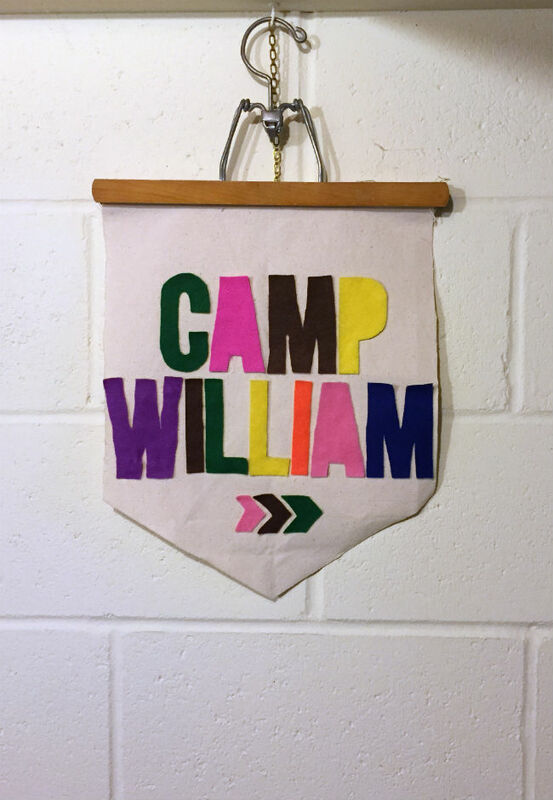 The theme was a mix of “adventure” and “camp” and I wanted it to be somewhat of an eclectic feel with bright colors. 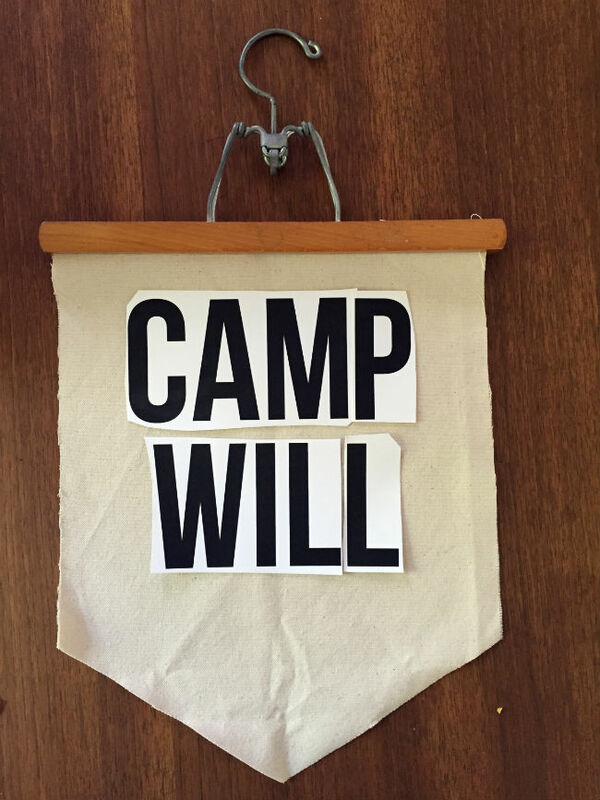 I envisioned a banner with a big “CAMP WILLIAM” written on it to both personalize and immediately set the tone for the theme and event. I thought I could make one easily enough and afterwards, turn it into a new wall hanging for his play room. This was one of those rare DIYs that turned out exactly like what I had envisioned on the first try. 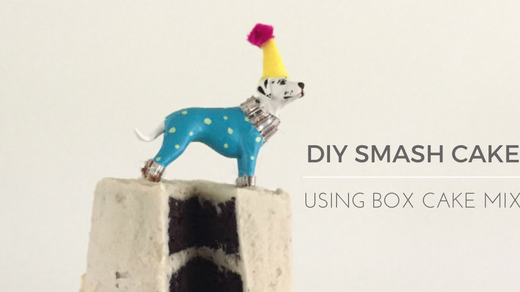 It took a little precision and patience, but all you really need to know is how to use a scissors, ruler and hot glue gun – the end result is totally worth it! 1. 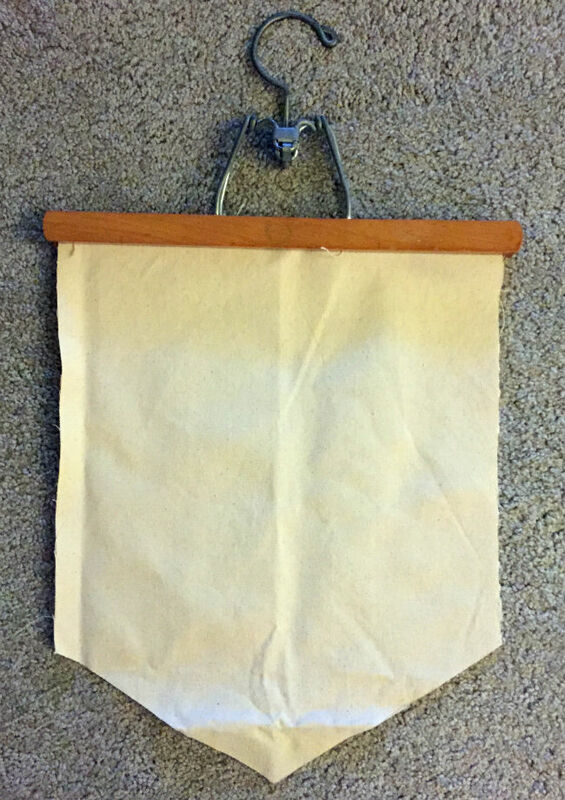 Lay your fabric on a flat surface and position your hanger. This will be the width of your banner (Line A). You’ll next need to determine the length and where you want to place the edges and points. Measure from the top of your banner to the very end of where you want the lowest point on your banner to be (Line B). Find the center point where you want the lowest point to be (Teal dot). Mark this with a pencil. 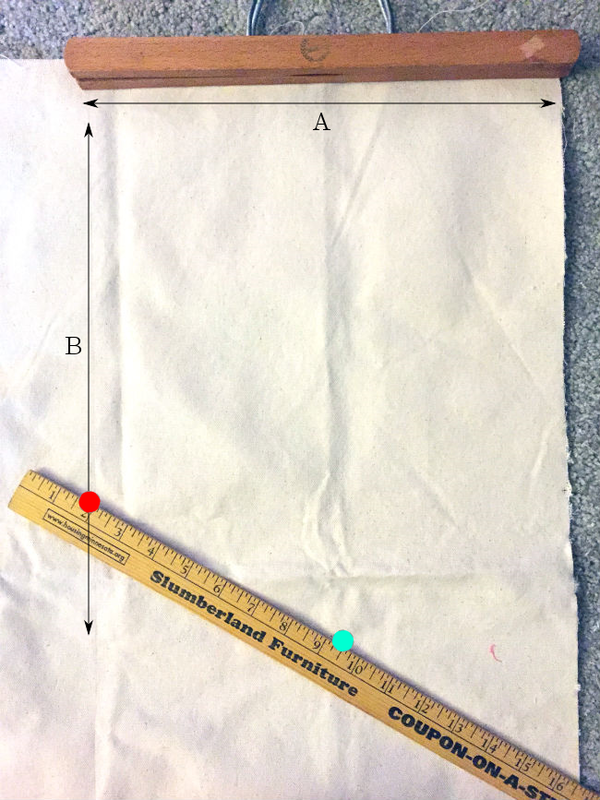 Determine where you want the bottom edges to be on your banner (Red dot) and mark with pencil. Draw a straight line between the two marks. Repeat on the opposite side. You now have an outline for your banner. 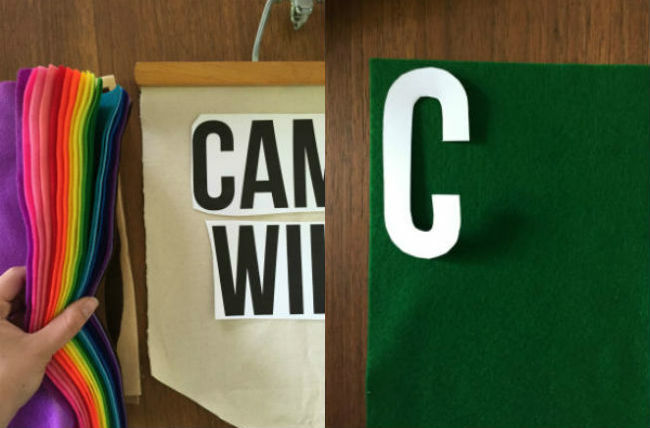 + Remember: A banner can be any shape! Step one is only if you’d like a 5-sided one like mine. 2. Cut out your banner shape. Don’t worry about the fray, we’ll fix this later. 4. Using mod podge and a foam brush, paint along your banner edges like this. Allow to dry. 5. Once you have an idea for your message, design in whatever program you’d like (I just typed it out and chose a font in Word). Take into account how big you want the letters. Print out. This will be your stencil for your lettering and arrange on the banner to determine it’s the right size and layout. 6. You’ll next want to stencil out your message onto your felt and cut out all your letters. 7. Simply hot glue gun your message onto your banner and ta dahhh! You have a beautiful banner to use for whatever your little heart desires! 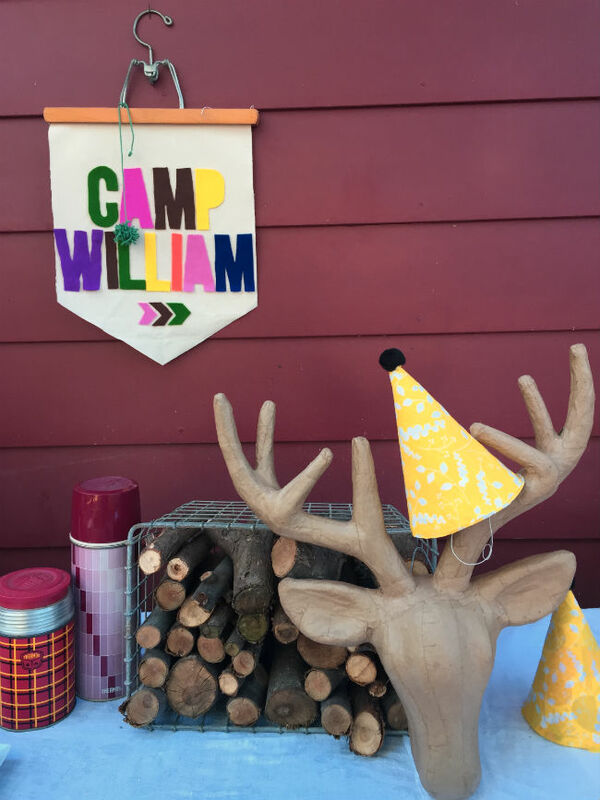 Stay tuned for more details from William’s CAMP WILLIAM-themed first birthday later this week!